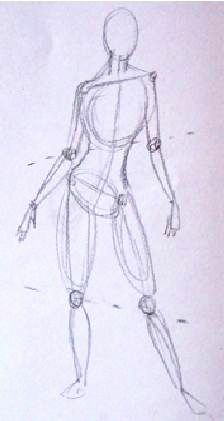 I complete its volume with the arms and now I can begin to detail the figure. 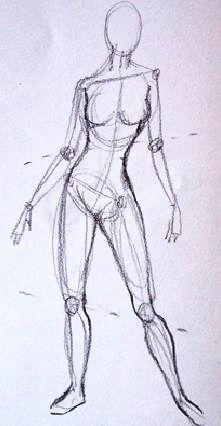 I add her breasts considering that one breast will be higher than the other one due to the position of her shoulders. I frame the shape of her leg muscles.